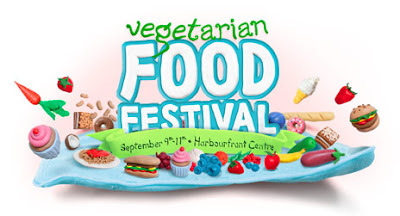 Regarded as the largest event of its kind in North America, the Annual Vegetarian Food Festival gives you an unparalleled opportunity to enjoy a diverse cross-section of vegetarian cuisine. Discover new products and ideas from more than 100 exhibitors and enjoy a wide variety of presentations and cooking demos. Not a vegetarian? Whether you’re looking for new ideas to add colour and variety to your meals or you’re a seasoned vegetarian interested in expanding your knowledge of nutritious and ethical foods, this is the place for you. Thanks for sharing this. I`m definitely going to check it out!